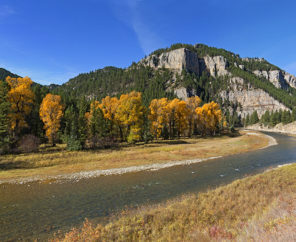 One of Montana’s most storied rivers, the Smith is a favorite destination of paddlers and anglers from across the state and around the country. However, a proposed copper mine in its headwaters threatens to pollute this treasured place with acid mine drainage and heavy metals contamination. 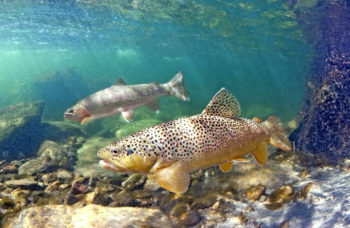 The Montana Department of Environmental Quality must consider all of the potentially harmful impacts of this proposed mine on the river’s water quality, trout fishery and the multi-million dollar recreational economy it sustains, and deny a permit for the Black Butte Copper Project. Take action: Join us in the fight to defend the Smith from this proposed mine. Sign the petition, and we will alert you when the time is right to weigh in on this dangerous mining proposal. 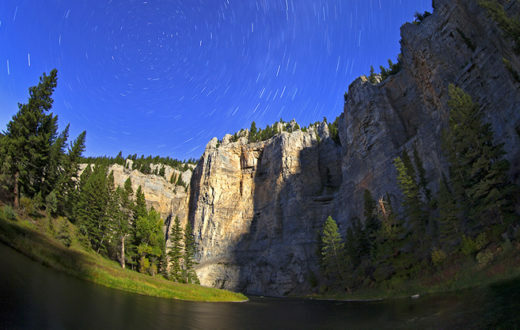 The Smith River flows for 6o miles through a spectacular limestone canyon between the Little Belt and Big Belt Mountains, emptying into the Missouri River just south of Great Falls. It is nationally renowned among anglers for its thriving brown and rainbow trout fishery, and a few remnant populations of native westslope cutthroat trout persist in its most pristine tributaries. Among the other wildlife that frequent the Smith River corridor are bald and golden eagles, osprey, moose, elk, mule and whitetail deer, black bear, and the occasional grizzly bear. 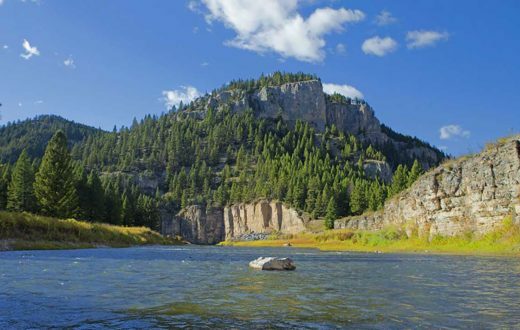 Due to its lack of big whitewater and good road access at either end, the Smith is one of the few multi-day river trips in Montana that provides floaters of all abilities with opportunities for backcountry solitude, excellent trout fishing, and fantastic camping. Float trips on the Smith are in such high demand that it is Montana’s only permitted river. In 2017, more than 10,000 people applied for just 1,280 float permits on the Smith. Recreational fishing alone (not counting the roughly two-thirds of floaters who do not fish) generates an estimated $10 million annually in revenue for outfitters and surrounding communities. Removing copper from the ground poses serious environmental risks. First, the copper lies in a massive sulfide-ore body, which, when exposed to air and water, produces acid mine drainage. There is also the likelihood that the mine will leach toxic heavy metals, such as mercury, lead and arsenic into nearby surface waters. Finally, groundwater would have to be pumped from the mine, which could partially dewater Sheep Creek and its tributaries, thus drying up trout habitat. Mining has left a toxic legacy in many of Montana’s rivers for over a century. 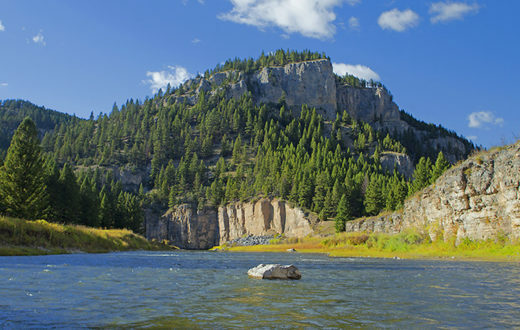 Among the rivers that have borne the brunt of historical mining impacts are the Big Blackfoot of A River Runs Through It fame and the Clark Fork, 120 miles of which is designated as the nation’s largest Superfund site due to contamination by toxic heavy metals. The cost to clean up the Clark Fork River alone is estimated at over $1 billion and is expected to last 20 years. Modern mines have also taken their toll on local streams, and their legacy is found in publically-funded multi-million dollar cleanups that are occurring, or must occur, at mines throughout Montana that have been shuttered in recent years including: Zortman-Landusky near Malta, Beal Mountain near Anaconda, Kendall near Lewistown, Basin Creek south of Helena, and possibly the Troy Mine near the Kootenai River. Sandfire originally submitted its mine permit application to the Montana Department of Environmental Quality (DEQ) in December 2015. The agency rejected the application three times due to incomplete information, but it finally signed off on the completeness review in August 2017. That triggered the launch of a full environmental impact statement (EIS), which is expected to take at least one year to complete. The draft EIS likely will be released for public review sometime in 2018. This will be the public’s best opportunity to state their opposition to the environmentally harmful Black Butte Copper Project. 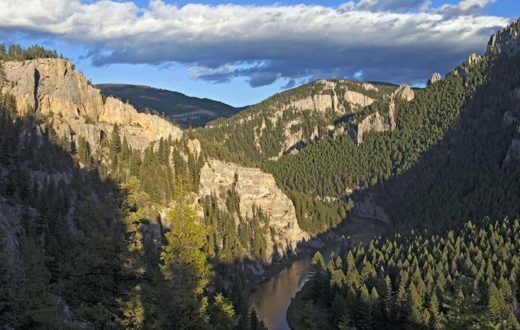 In the meantime, several conservation groups in Montana, including American Rivers, recently launched a campaign to put a responsible mining initiative on the state ballot in November 2018. If the initiative passes, it will allow the state of Montana to more easily deny any proposed mine that requires perpetual water treatment to deal with acid mine drainage and heavy metals contamination. Montanans’ support for this initiative could impact the fate of this project and future harmful mining proposals. Join us in the fight to defend the Smith.